An emaciated and endangered killer whale believed to be near death has been spotted near the coast of Vancouver Island for the second straight day. 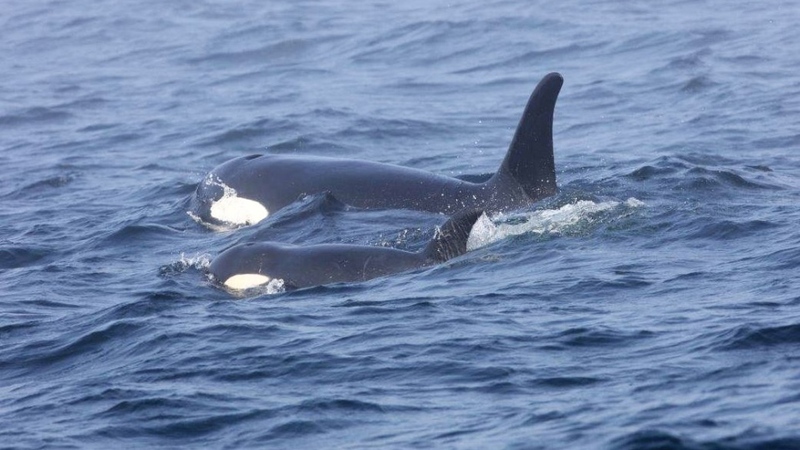 J50, a four-year-old female southern resident killer whale, was spotted with other members of her pod including her mother off the coast of Port Renfrew Tuesday, according to the Department of Fisheries and Oceans. The young orca was glimpsed again Wednesday swimming with her mother off the tip of the Olympic Peninsula, in U.S. waters. "She's still out in that same vicinity which puts her out just beyond the range, the reach of our teams," said Michael Milstein, a spokesman for the U.S. National Oceanic and Atmospheric Association, which is working with the DFO on assisting the whale. Milstein said it was good to see the whale alive because she hadn't been sighted since Friday, sparking concern that she may have succumbed to her condition. But the race is still on as scientists try to get close to J50 and administer antibiotics, because the young while is believed to be starving and possibly suffering from infection. "When other whales looked like her, they did not survive, so we have a critical whale," said Martin Haulena, head veterinarian for the Marine Mammal Rescue Centre in Vancouver. The animal's poor health has sparked efforts in both Canada and the U.S. to save her, with teams from the rescue centre, NOAA, the DFO and the Washington Department of Fish and Wildlife taking part. Veterinarians in the U.S. are prepared to try to deliver antibiotics by pole or dart – or feed her with medication-dosed Chinook salmon – if she's still in U.S. waters when they locate her. But officials in Canada are still dealing with the paper work required to ensure their efforts to help don't harm the rest of J-pod. Government scientists say they still aren't convinced the unprecedented measures are good ones. 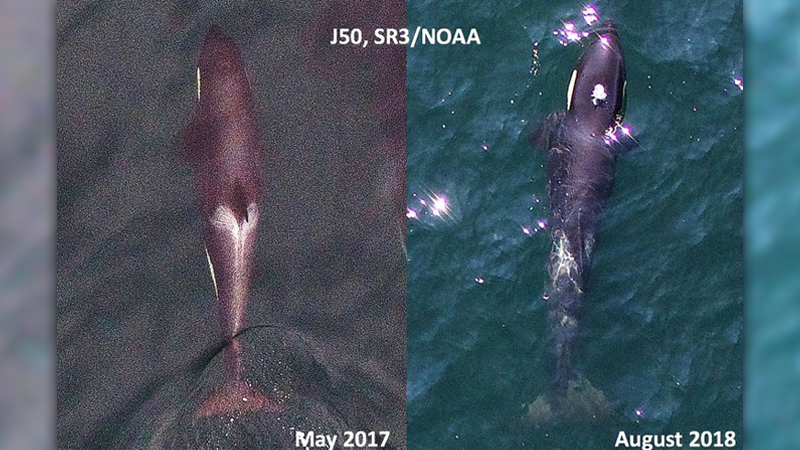 "So when we undertake interventions, we will quite likely disturb not just J50, but other animals around J50," said Sheila Thornton, a scientist with Fisheries and Oceans Canada. "We need to be very cognizant of what the effects of the treatment of J50 would be, or adverse effect on her or her family members would be." 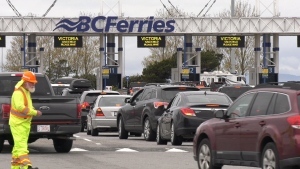 The paperwork for the life-saving measures on the Canadian side of the border was expected to be submitted Wednesday.